A mother-of-four whose standard of driving was reported to police by a neighbour, was given a three-month suspended jail sentence when she appeared at East Tyrone Magistrates Court. 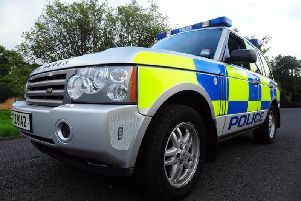 Mary Kane (40), of Farlough Road, Newmills, was also fined a total of £300 and banned from driving for two years on three counts of having no insurance and no driving licence in July last. Mr Meehan warned Kane that she had to understand that if she came back before the court for similar matters she will go to jail for three months. Prosecuting counsel said on July 8 at 4.30pm, police received a report from a member of the public about the defendant’s standard of driving at Brackaville Road, Coalisland. He said two further reports were received from the witness over the next few days and the defendant was cautioned by police. Defence solicitor Jarlath Faloon explained Kane had been disqualified in 2001 and did not do her driving test as required by the law. He said she lives in the country and her partner doesn’t drive and she has four children and an elderly mother to care for.